AfterBite® is the original trusted Itch Eraser® and has been for more than 30 years. 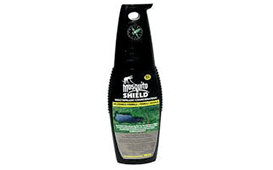 Formulated with ammonia, AfterBite® works to neutralize the affected area and remove the itch from common bug bites, such as those from mosquitoes, fleas and ticks. The ammonia in AfterBite® promotes fast healing unlike benzocaine-based products, which simply mask itch symptoms. A trusted family favorite because it works. 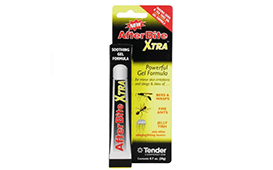 AfterBite Xtra® is a gel-formulated itch treatment that provides immediate relief. Formulated with Ammonia and Baking Soda to alleviate the itch and pain of stings and bites. The Wilderness Formula is serious protection under heavy bug concentrations. An essential addition for extreme adventurers and outward bounders. Comes with a bonus compass on our patented cap so that you won’t get lost. Please remove cap from can for compass to work properly due to the magnetic qualities of the can. Contains 30% DEET and is PCP regulated. Offered in 200G Aerosol can, 200ml pump bottle, 50ml travel size Pump, 50ml travel size flip top bottle. 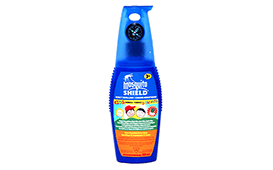 The Kids Formula protects children from against bugs so that they can enjoy the outdoors. Our patented cap comes with a fully functional compass and whistle for emergencies, as well as a carabiner hole for transportation. Packaged in a pump (non-aerosol) bottle. Contains 5% DEET with Aloe Vera and is PCP regulated. Available in a 200ml pump bottle. 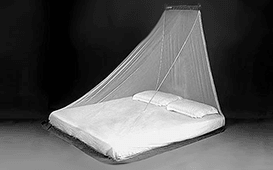 A wedge-shaped mosquito net with a single hanging point system and tough, ripstop bag, with EX8 antimosquito longlife impregnation. Designed for a single matress. 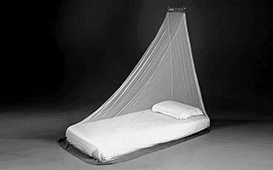 A wedge-shaped travel mosquito net with a single hanging point system and tough, ripstop bag, with EX8 antimosquito longlife impregnation.Designed for a double matress. 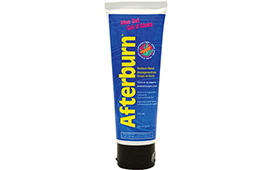 AfterBurn® is an aloe-based, gel-formulated burn treatment proven to work on contact! It contains 80% pure Aloe Vera and the anesthetic Lidocaine to offer instant relief from the discomfort of sunburn or windburn, minor burns and chapped skin. Aloe, which has been shown to be effective in healing burns that it is used in trauma centers, promotes fast healing, while the anesthetic provides instant pain relief. The Easy Care™ First Aid Kit organizes first aid by injury complete with EZ Care™ bi-lingual instructions inside each injury compartment. 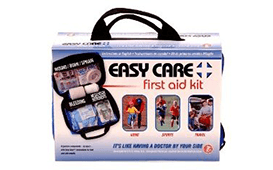 Easy Care™ travel first aid kits are equipped with premium hospital quality instruments. There’s no faster, more efficient way to treat common ailments or even life-threatening emergencies that can happen at home or on the road. It’s like having a doctor by your side! 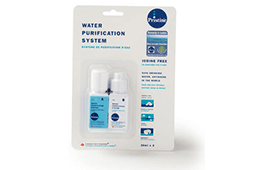 Perfect Portable Water Purifying Product for Backpackers, Travellers, or other Personal Uses In The Outdoors. (2) x 30ml (1 oz.) Bottles have a built in dropper and come with mixing cap and instructions. Purifies up to 120 L (30 gallons) of water. Weighs only 80 grams (2.8 ounces). 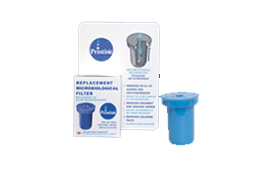 A convenient, safe and effective way to get clear, clean tasting water anywhere, anytime! Perfect for indoor, outdoor and sports use. Water Bottle and Microbiological filter for travellers 0.65 L Nalgene Plastic Sports Bottle Advanced Microbiological Filter removes Chlorine taste and 99.9% of giardia and cryptosporidium. If viruses or bacteria are suspected, use in conjunction with the Pristine® Water Purification System, for maximum protection. Microbiological Tortuous Path Filter Replacement for the 0.65 L Nalgene Pristine Sports Water Bottle. 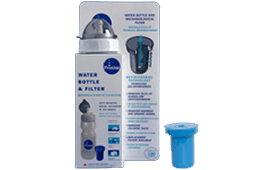 Have clean, safe drinking water, anytime, anywhere with this travel water filter!